PRIME Minister Narendra Modi on Tuesday slammed the Naveen Patnaik Government of Odisha for “not cooperating” with the Centre for the speedy development of the State and said he used Central schemes as a tool for the welfare of the Odiyas. “The Government in Odisha did not cooperate with us. Despite its indifference, we did our best in launching development projects in the State,” Modi told an election rally in this backward Odisha town in Kalahandi district once known as the State’s “hunger zone”. This chowkidaar (watchman) has “taken advantage of Central schemes to ensure welfare of the Odiyas”, he said. If the BJP had formed Government in Odisha after the 2014 election, the State would have witnessed speedy development in all sectors, he asserted. 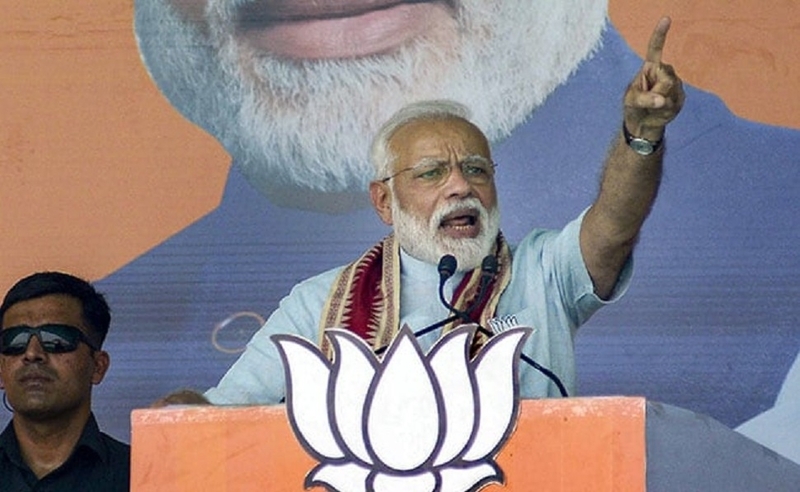 Calling upon people to vote for the double-engine Government of the BJP at the Centre and in the State, Modi said Odisha should repeat the history created by Uttar Pradesh in 2017 and Tripura in 2018 when the saffron party was catapulted to power with huge popular mandate. Listing out his Government’s achievements, he said the NDA dispensation has constructed pucca homes for eight lakh families, provided power connections to 24 lakh homes, and cooking gas connections to 40 lakh mothers and sisters. “In the last five years, we have opened bank accounts for 1.40 crore people, built toilets in 50 lakh homes, ensuring women’s safety and security,” he said. Projecting the BJP as a “pro-poor” party, Modi sought to appeal to the tribals of the region, reaffirming his Government’s commitment to their welfare. “The budgetary allocation for tribal welfare has been raised by 30 per cent by the BJP-led Government which explains its commitment to uplifting the tribals. Five years ago, the minimum support price (MSP) was available for just 10 forest produce. It has now been increased to 50 to benefit the tribal community,” he asserted. The BJP-led Government has also simplified laws for felling of bamboo to help tribal communities and the poor to raise their income, Modi said. Similarly, over 400 Ekalavya model schools are being set up across the country as part of efforts to provide quality education to tribal children, he said, adding that steps have been taken to provide scholarship to them. Modi alleged the Congress has cheated the tribals over the years by denying them their due.